I believe Quill is supposed to be testing the XDE’s also! So it makes sense for the swap from GA to MJQ. Last time I checked GA was the only depot to test the XDEs not Quill. Let me start off by saying this is a discussion for the Fleet & Depots thread. If you made a general discussion post recently and no longer see it here, it’s because I removed it. This conversation will be moved for reference. This is the ONLY conversation that will be moved. All others will simply be removed, and your posting privileges will subject to immediate suspension. At this point these buses (XDE40’s) aren’t being tested. These are production pilot buses for the upcoming order, not test buses. This is actually a direct competition and evaluation between the different hybrid systems. I’m 100% percent sure we will get more XDE40’s, and if Nova drops the price of their hybrids we will get a split order with Nova LFS hybrids as well. Those would/will go to the Bronx and Queens. Quill is getting new hybrids (see hybrid deployment plans on the first page of fleet and depots). When they arrive, they will be assigned Quill, so it makes sense for a couple depots to get and evaluate at least one BAE unit and one Allison unit. What I will be waiting for is Ulmer Park. Theses will be their first hybrids. Nothing was ever mentioned about hybrids, yet this was a given seeing that they will go to all divisions except Staten Island. The original electric plans were for Quill and GA to swap fleets 18 months into testing. When I last checked, this was put on hold due to the the fact that the Proterra has not passed the BTE as of yet. New Flyer on the other hand has, and in the process, test bus 0011 has returned to NFI and now serves as the configuration audit bus for the XE60 order, which will NOT have pilots. The lead buses will be similar to pilots for configuration audit and finalization. One will test in service for 60 days on the M14, then the rest will follow. Once TA has successfully burned all the buses in, finalized testing for outer-borough operations, a couple will start to head out to the other 4 boroughs for testing. MTA has also opted to put on hold the ordering of any en-route chargers for the time being, and will test out M14 the logistics and operational viability of charging them with the existing leased chargers being used for the M42 and M50 runs. 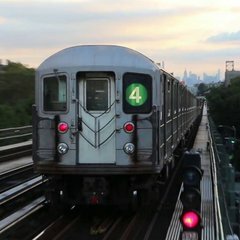 After the lease is up, MTA can then purchase chargers and deploy them based on the assignments of the 45 XE40’s that are pending unless Proterra passes the brake test in the next 10 months. Per your roster, please add #8232, #8235-8236, #8238-8240...they have bike racks. I saw them as I paid a visit to Castleton today. #8232, #8235-8236 and #8238 were all on the S53 today. 5767 to Kingsbridge from Gun Hill. Transfered to KB from GH? 0011 NFI Aniston back to MQ via the service center. Specs are now finalized for the XE60’s. Please excuse double posts if there are any. add #8232, #8235-8236, #8238-8240...they have bike racks. I saw them as I paid a visit to Castleton today. #8232, #8235-8236 and #8238 were all on the S53 today.